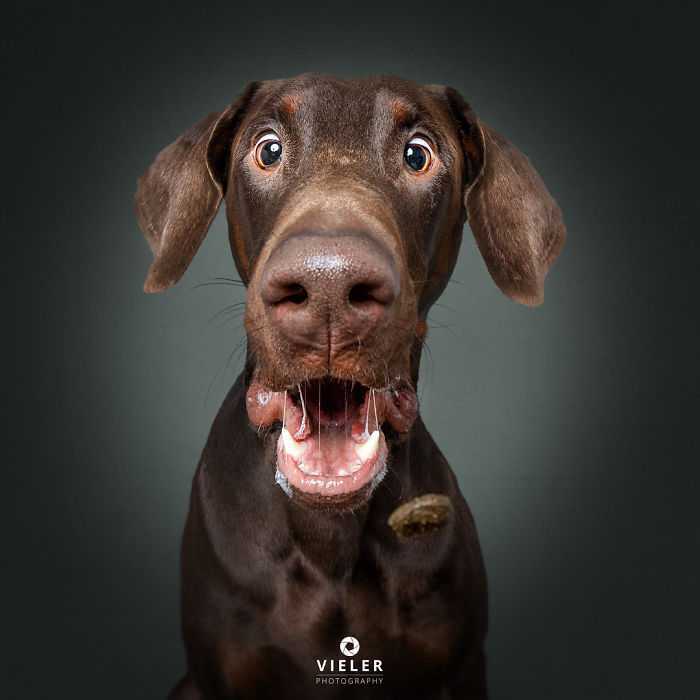 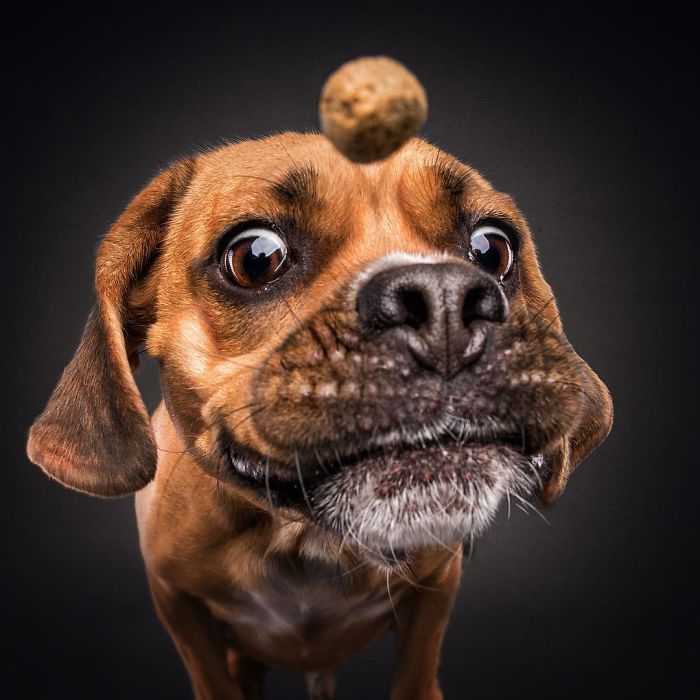 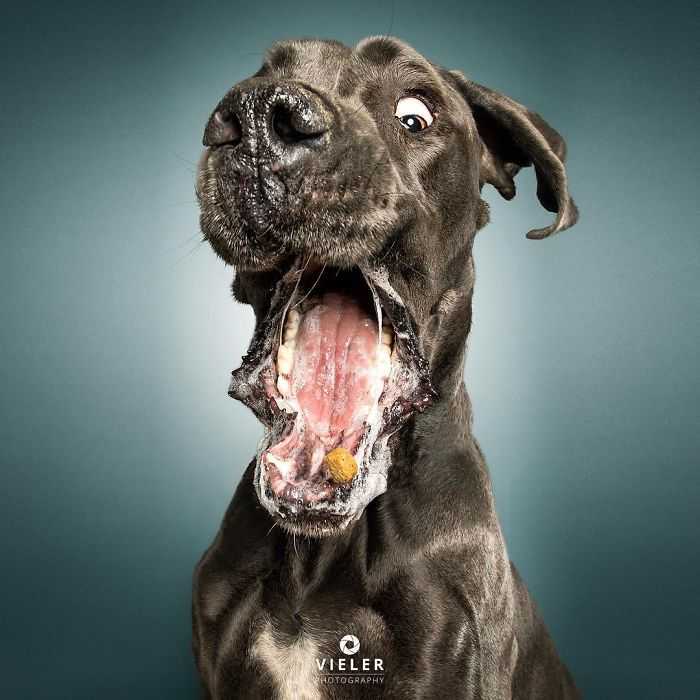 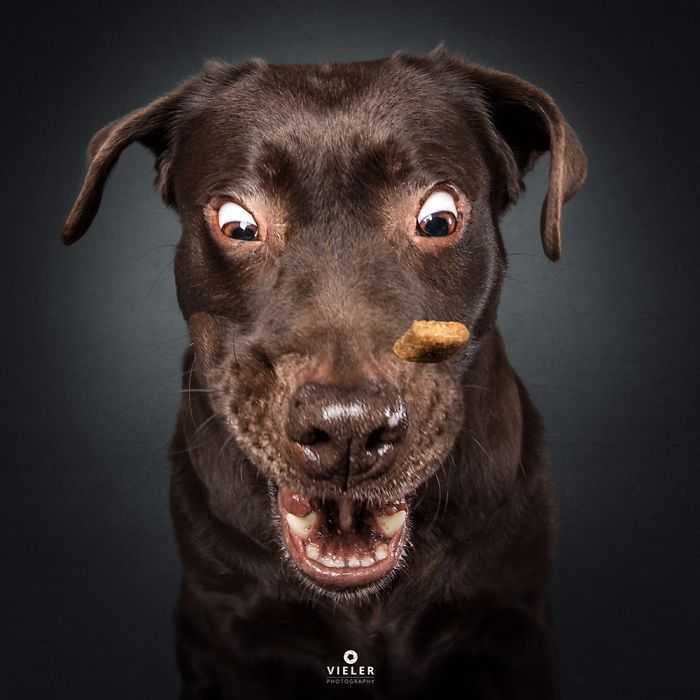 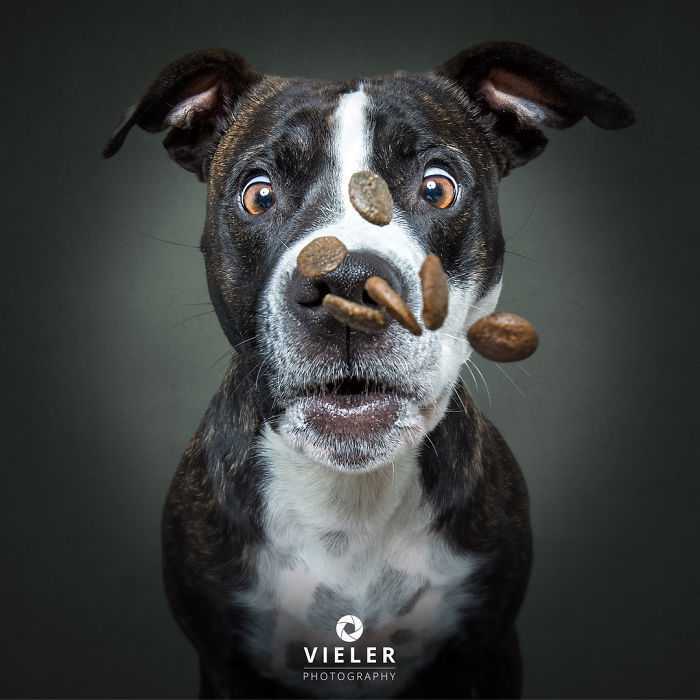 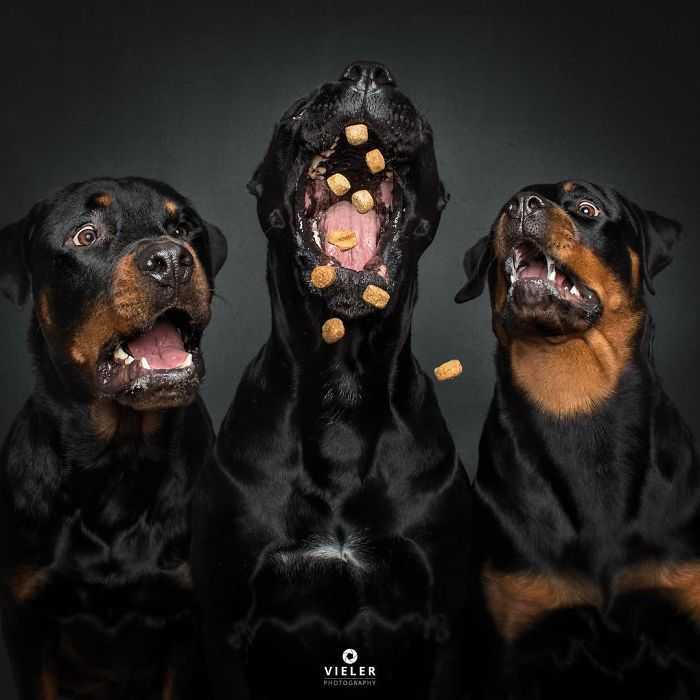 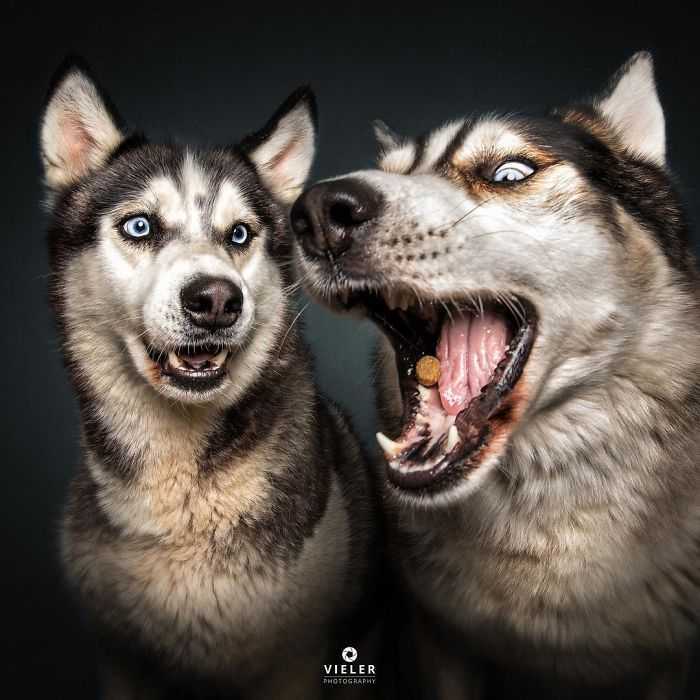 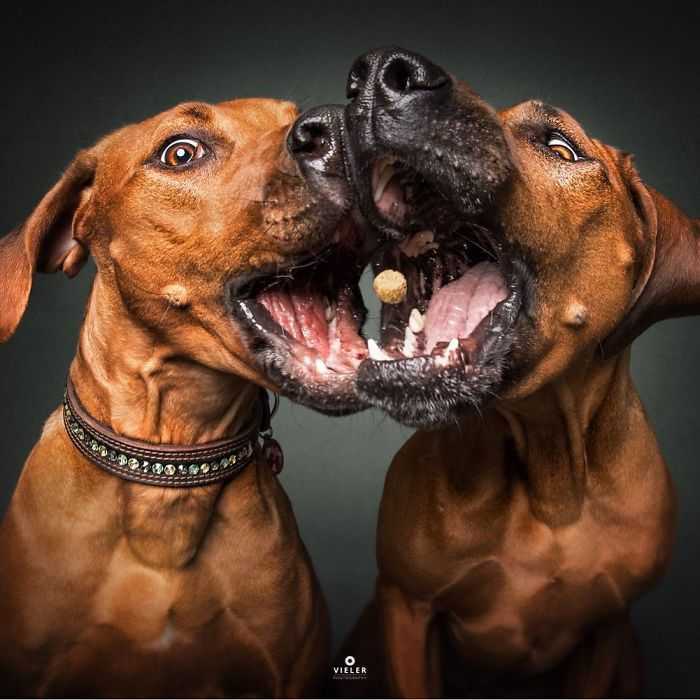 Photographer Christian Vieler caught these eager dogs anticipating, catching some more successfully than others and enjoying a scrumptious tidbit. 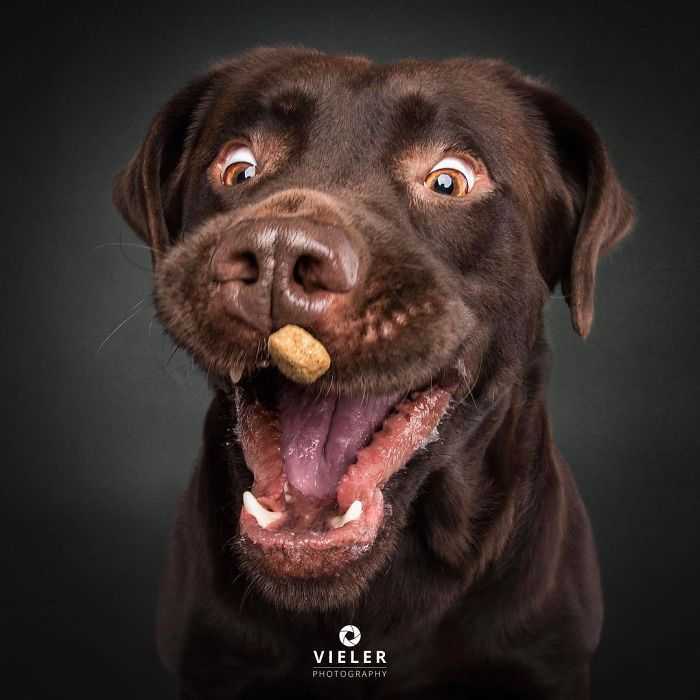 From a tenacious terrier to a goofy golden retriever, these often hilarious and surprisingly beautiful photographs capture each dog’s unique personality in a way any dog owner will recognize and that all dog lovers will enjoy. 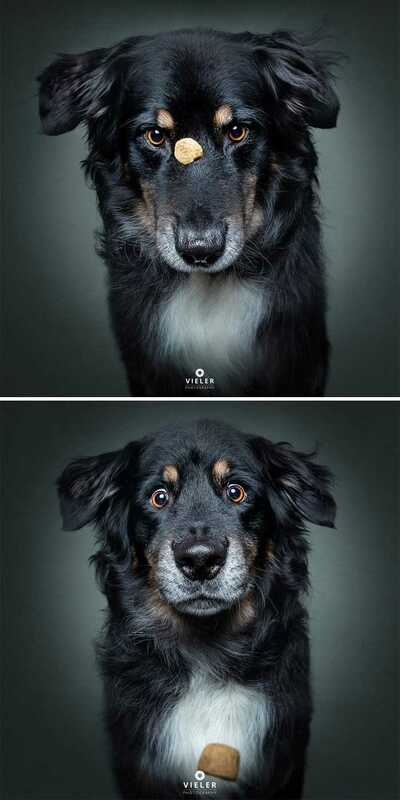 The shots bring out the unique personalities of each dog. 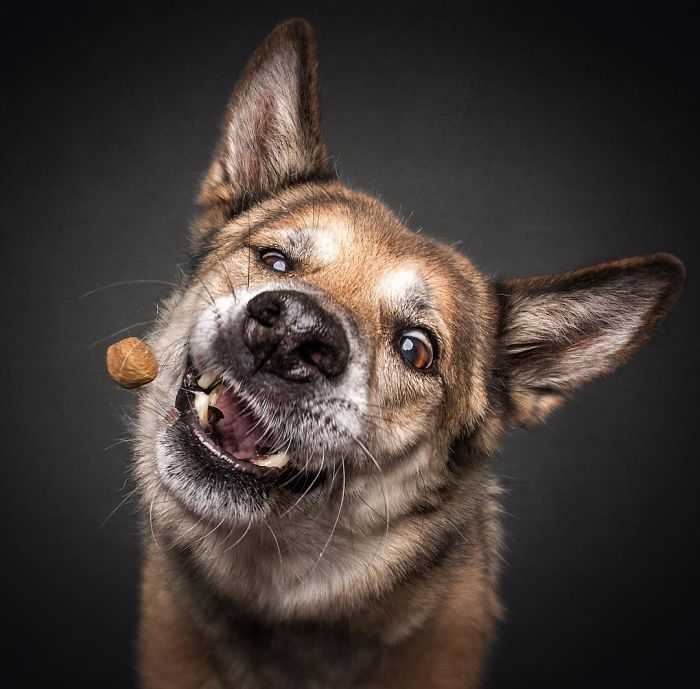 His models are quite happy to keep posing as long as they get their treats. 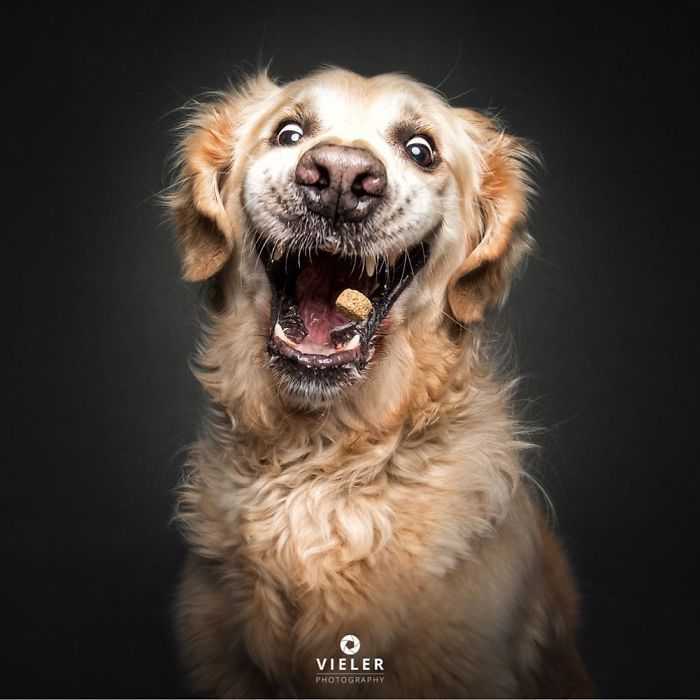 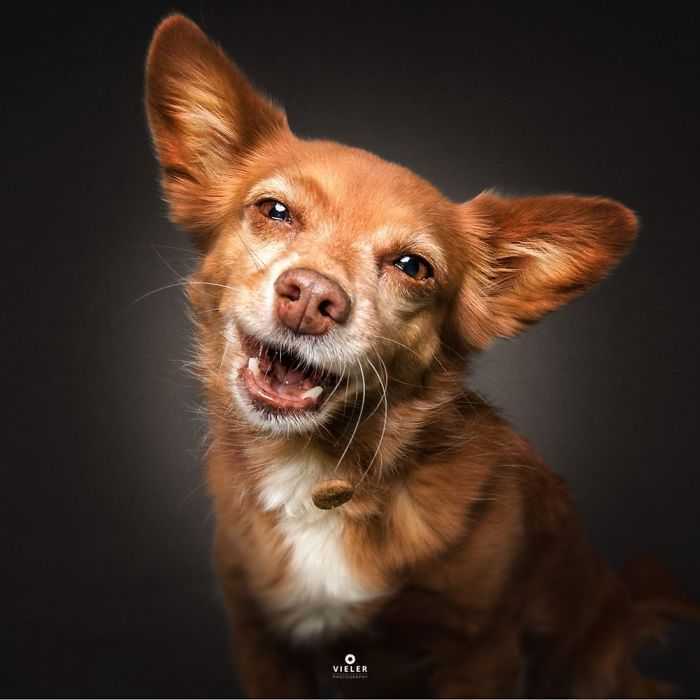 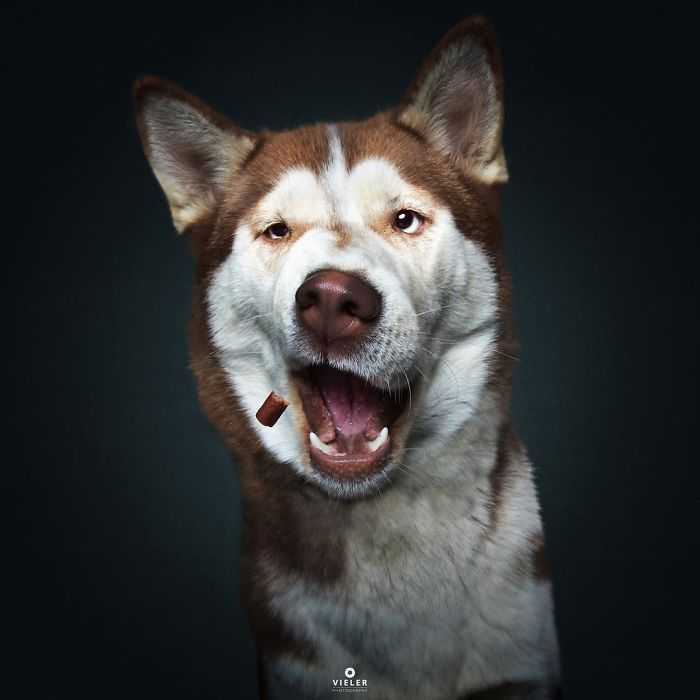 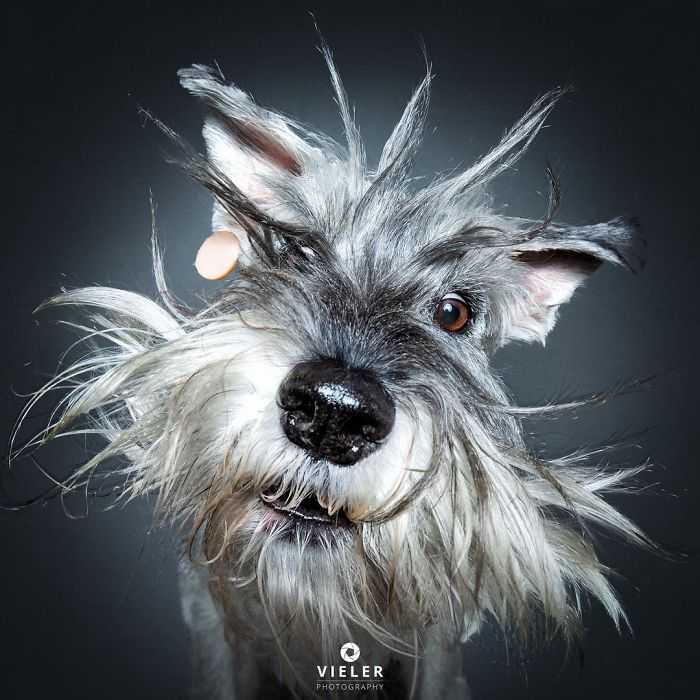 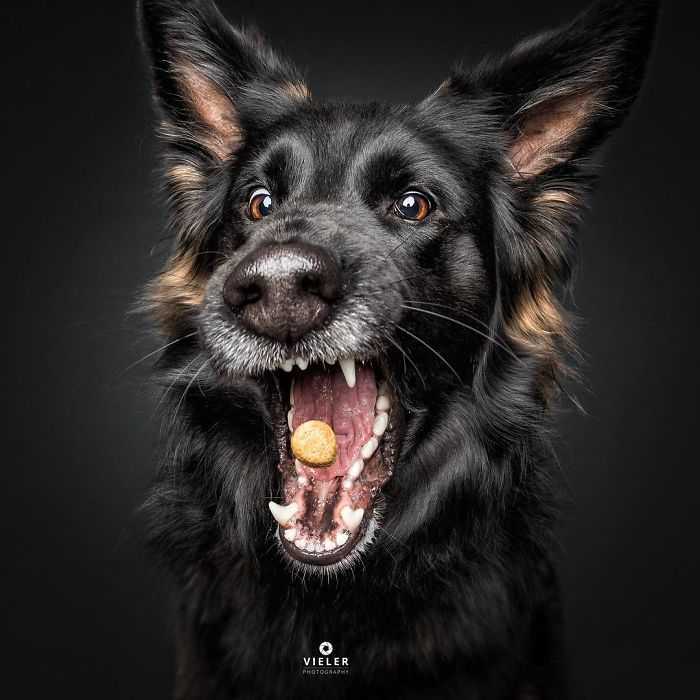 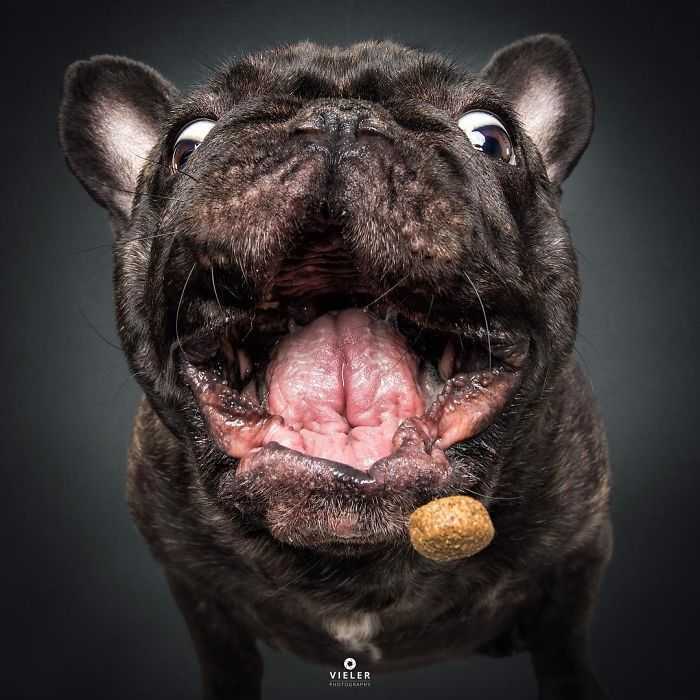 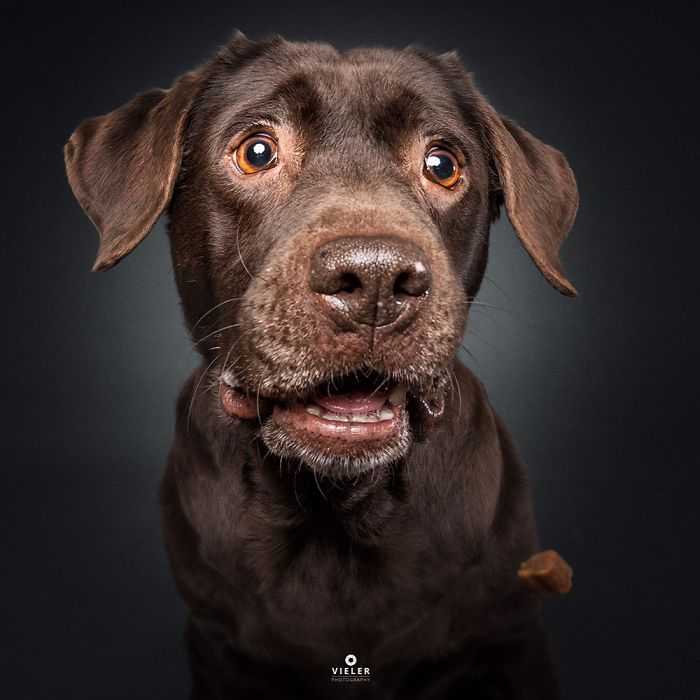 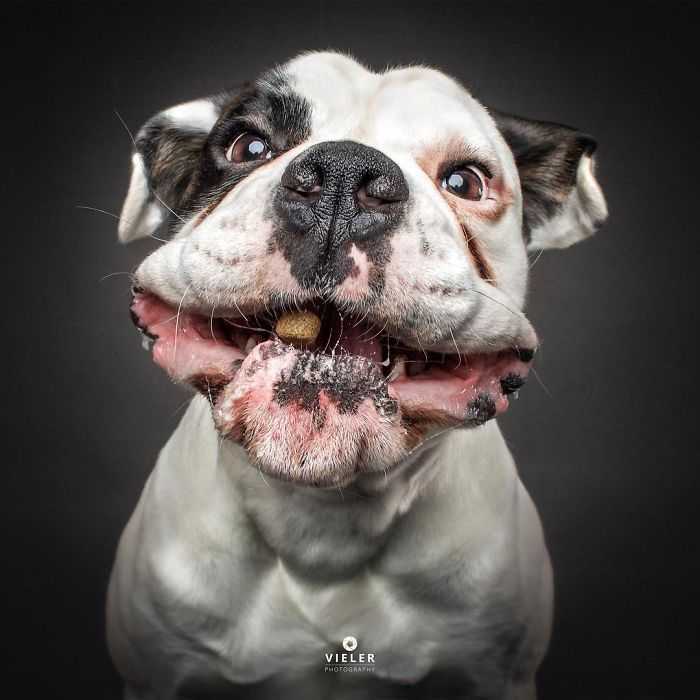 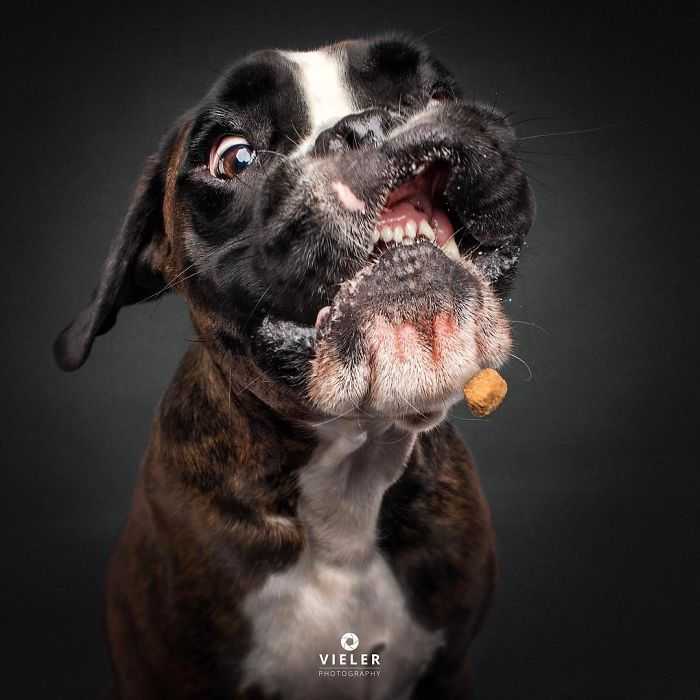 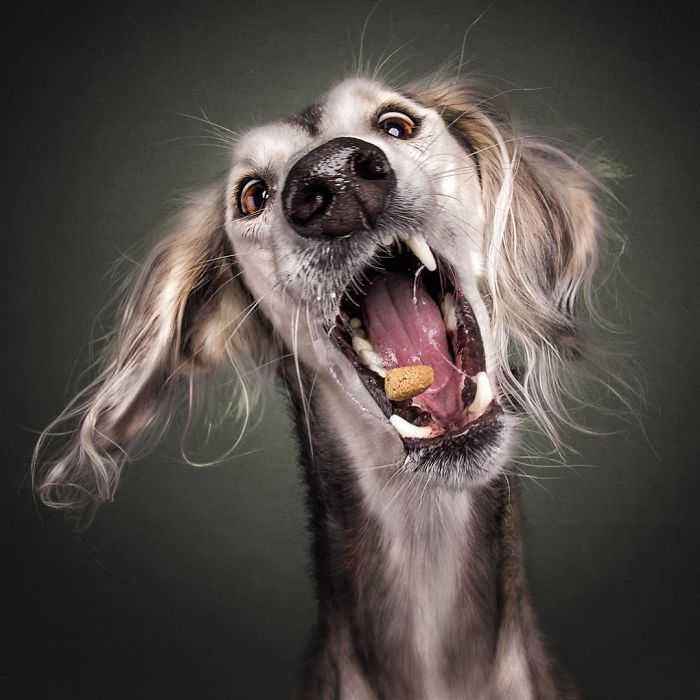 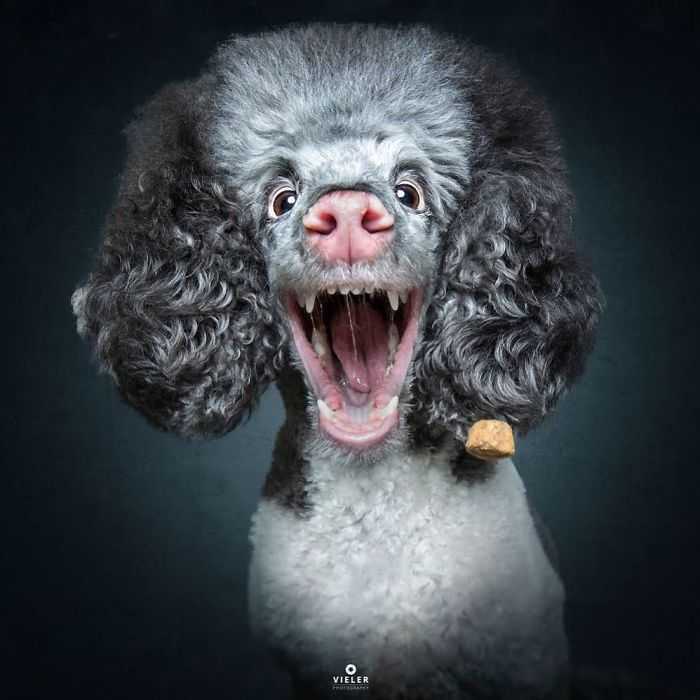 Vieler has been documenting dogs’ reactions since 2013, and has now collected them all in a book called Treat. 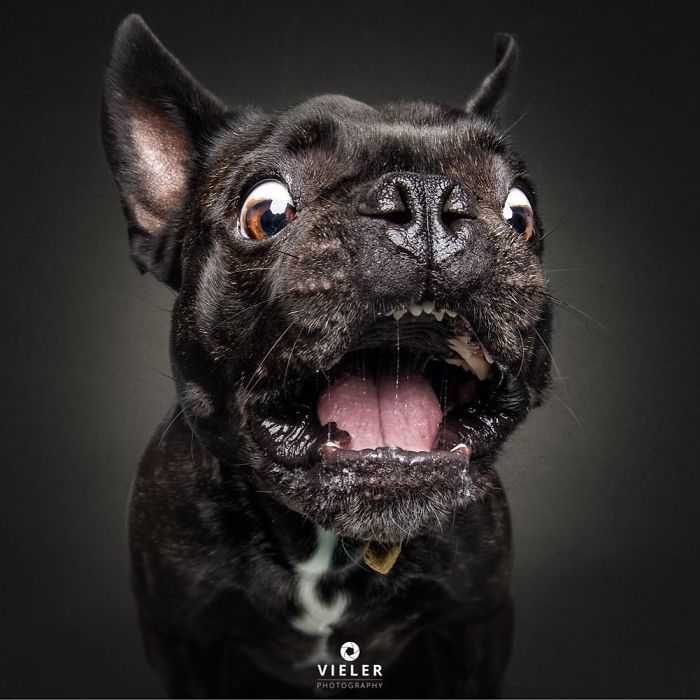 As an amateur photographer, Christian Vieler only wanted to try out his shutter speeds. 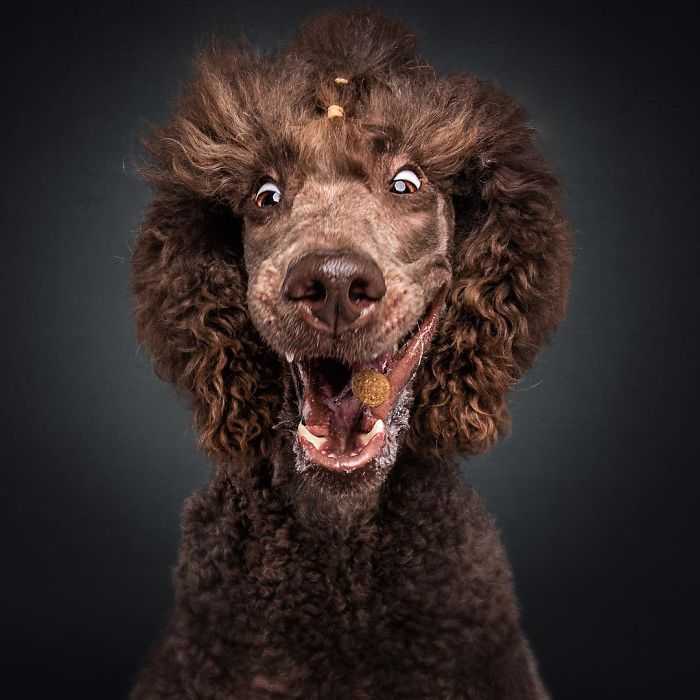 He never thought that he would make this his professional career. 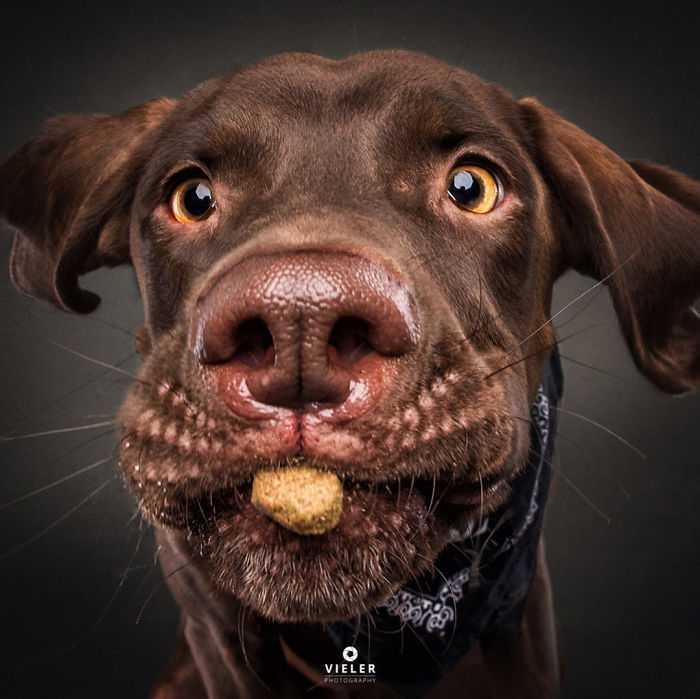 Capturing the right moment is the secret to success of this dog photographer. 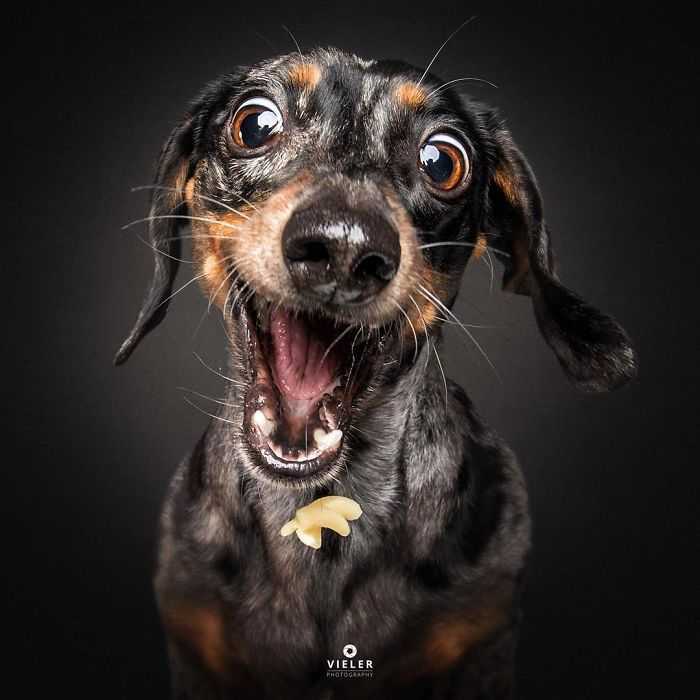 One day he got a call from a journalist who saw Christian’s photos on the Internet and wanted to publish the dog photos as a series. 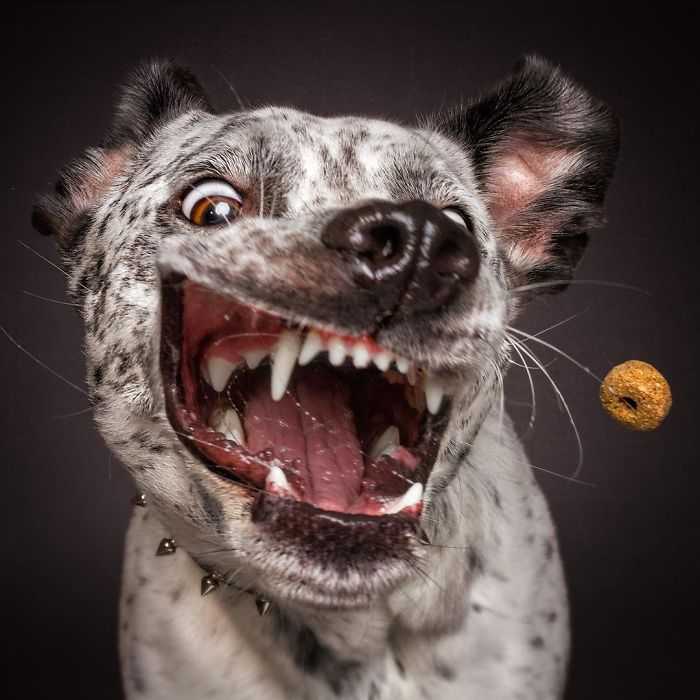 Christian agrees. 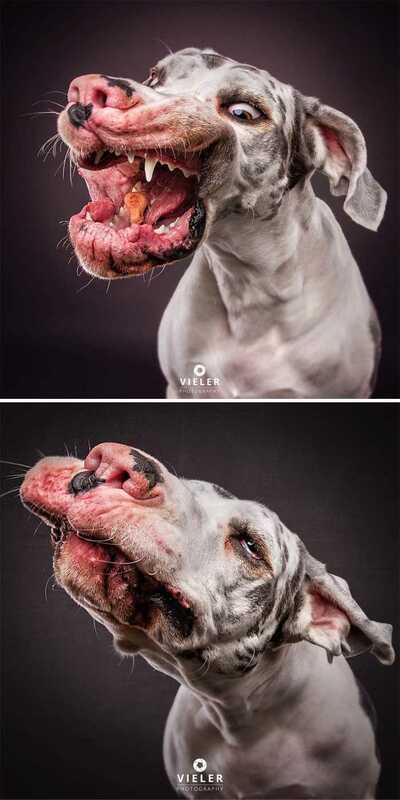 In no time, his photos become a viral sensation. 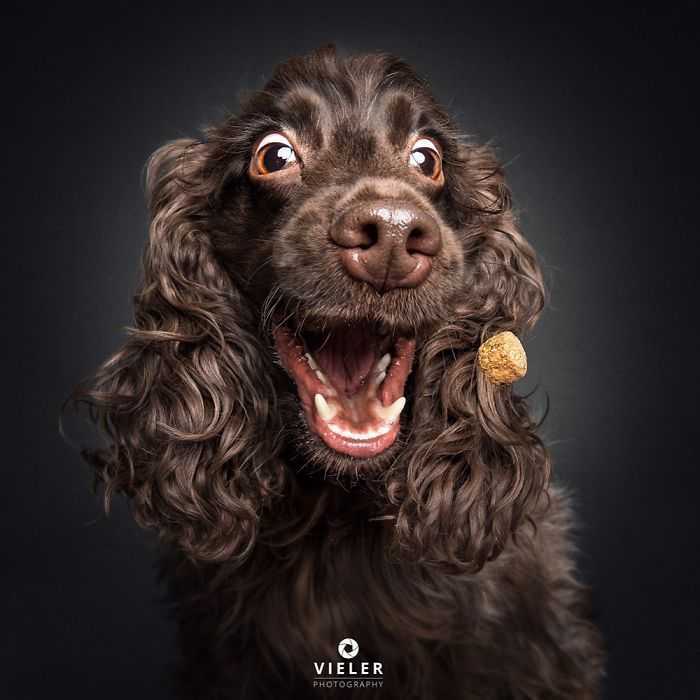 Now Vieler is very popular on his Facebook and Instagram accounts, as people are anxious to see his upcoming stunning photos. 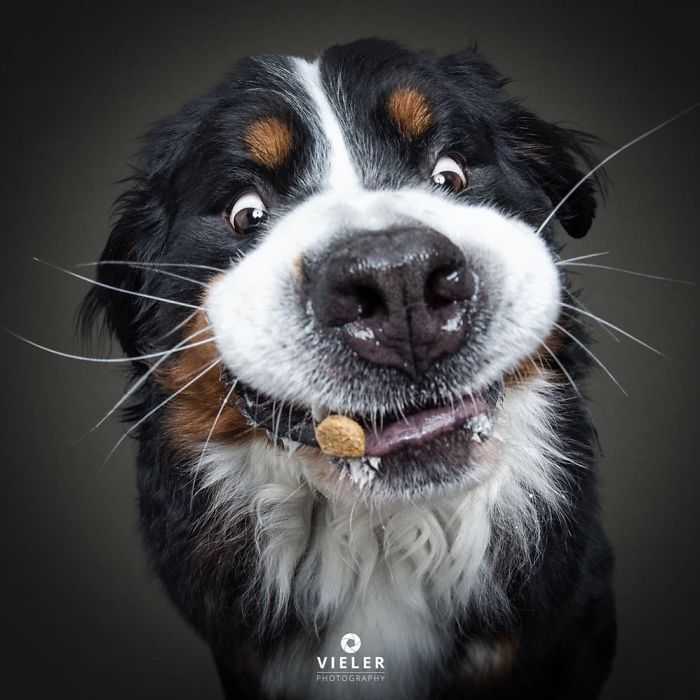 Scroll down for your dose of doggy delights.